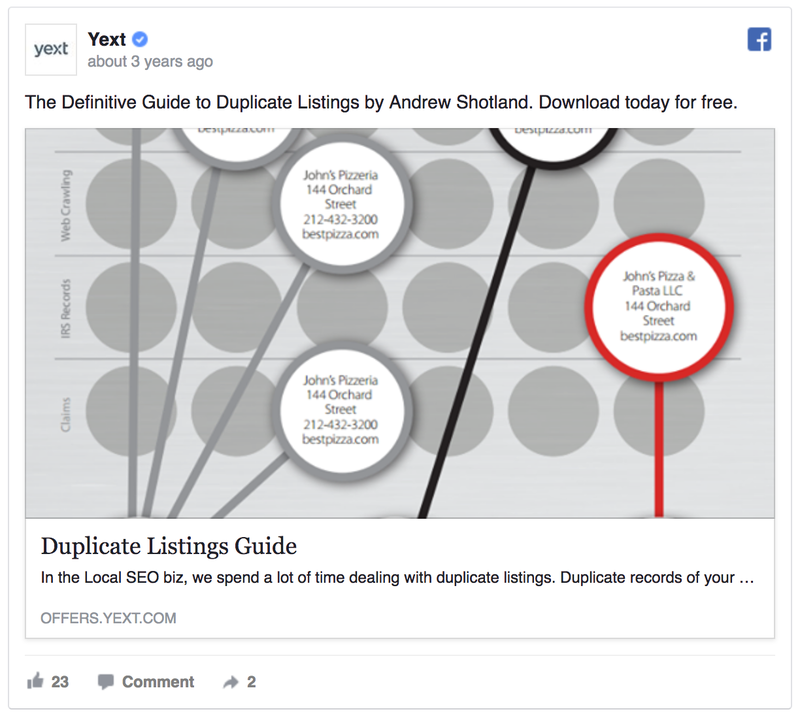 I admit: Facebook lead ads make lead generation quite simple. Instead of trying to get users to visit a landing page, they allow you to collect customer data directly on the social network. So in this post, I’m going to walk you through exactly how to do that. You’ll learn how to set up a Facebook Lead Ad for your business and how to ensure those leads become paying customers. Finally, I’ll also show you how you can automate nurturing your leads, and use smart workflows that you can create with Facebook Lead Ads integrations and set your marketing and sales on autopilot. Because generating those leads is only the beginning. You need to nurture and process them to maximize your advertising ROI. 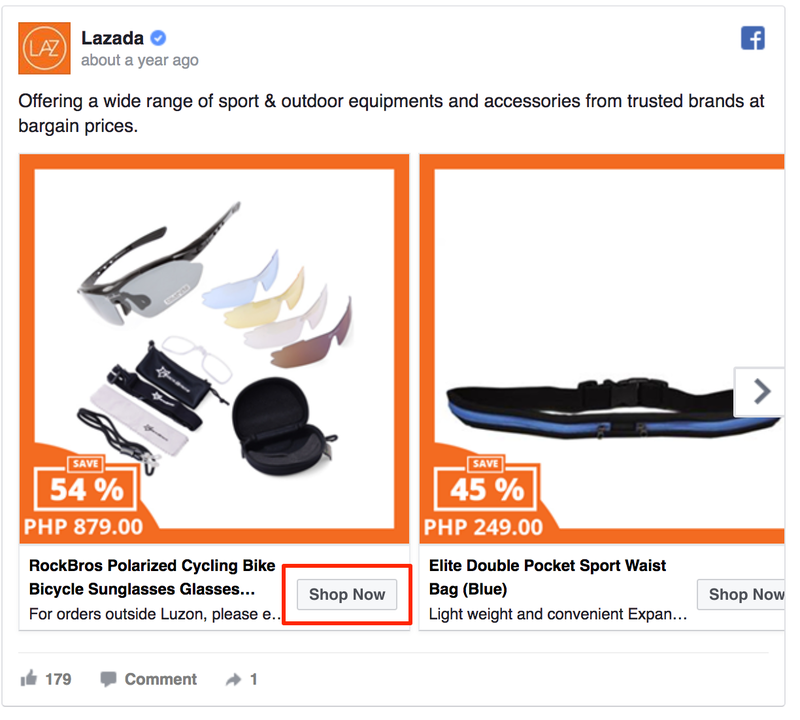 Back in 2015, Facebook – one of the biggest social networks, launched a new Ad Type – Facebook Lead Ad. With this, users can see the lead ads on their Facebook news feed and fill in contact forms to show interest in a product or service. These lead ads can be targeted to users who’ve already visited your website (retargeting), custom audiences who have specific interests, based on geographic location and demography. You can also create a look-alike audience to target people similar to your customers. 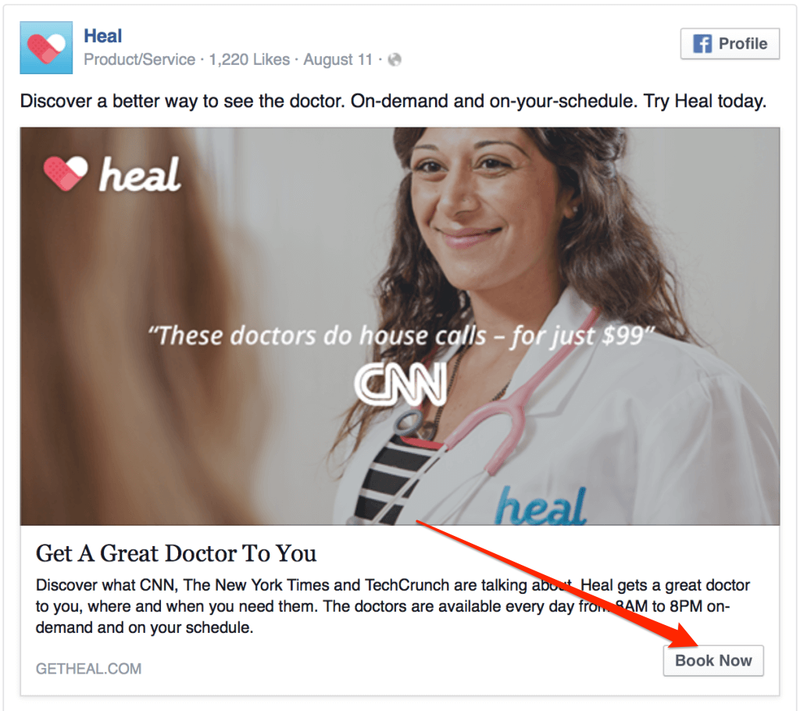 Facebook lead ads can help you collect user info like names, email addresses, phone numbers. For the most part, lead ads can be used to get email sign-ups for company newsletters, offer free trials and provide more business information. At the same time, aim to collect the personal information of potential customers. But the highlight of the lead ads is that they allow Facebook users to enter personal information in your form without ever leaving Facebook. As a marketer, your goal might be to build your mailing list promote your content via checklists, ebooks, get more registrations for your webinar etc. Facebook lead ads can collect the name, email, and gender for all these. If you’re an e-commerce site, you might be looking to tell your target audience about the latest deals. 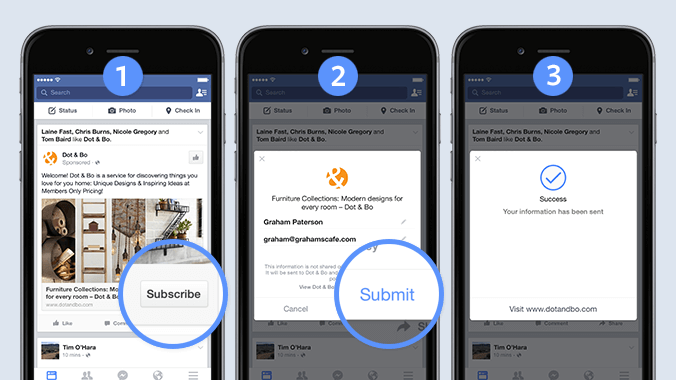 Facebook lead ads can collect addresses for you to send flyers and coupons. Finally, if you’re in sales, you want qualified leads. Using lead ads, ask prospects pre-qualifying questions like “What solutions are you considering?” before jumping on a call. 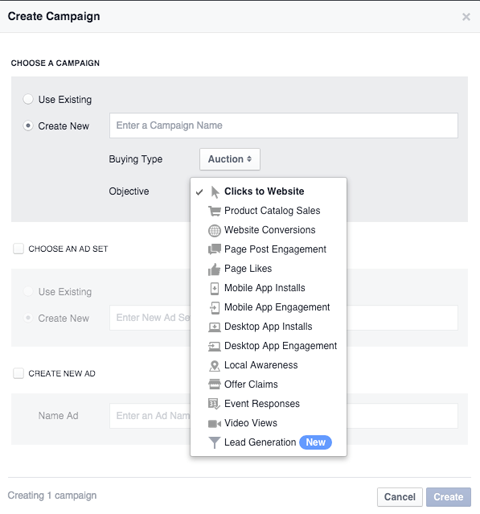 Now you must be having a clear picture of what Facebook lead ads are and how you can do it to achieve your goals. Let’s move on to see how you can get started setting up the whole cycle right from creating the campaign to optimizing it using different automated workflows. To start, you’ll need to decide what you want to offer your target audience. The logic is simple: you’re offering something of value in return for the personal information of potential customers. And there are many ways to go about that. For each of the marketing, e-commerce and salesperson it’s a different offering but with the goal of being a conversion finally. Your marketing team might use lead magnets like ebooks. On the other hand, an ecommerce site might offer exclusive coupon codes for sign-ups. Sales teams, however, could provide tailored consultations for their solutions. Once you’ve decided on what you want to offer, it’s time to create your lead ad. #1. Select “lead generation” from the list of ad objectives. And then, follow the ad creation process as you normally would. When you get to the ad level though, you’ll need to create a new lead form (obviously). 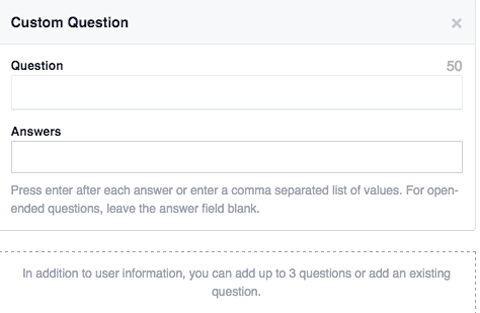 Click “create new form” and select what information you’d like to collect from users. TIP: If you’re wondering what data to ask for, here are some of the best practices for that. Name and email are the most valuable information to obtain from prospects. Without it, you simply won’t be able to contact any leads with to continue the nurturing process. But that’s just the basics. Look back at what your aim is to decipher additional information you need from lead ads. For example, in sales, you might want to take the opportunity to add up to 3 custom questions. This way you can pre-qualify leads, and ensure how far they are in the buying cycle. And finally, add your website address to give users an option to visit it after they’ve submitted the form. Now that you’ve built a Facebook lead ads campaign, there’s no doubt a substantial part of your budget is being spent generating these leads. But are you converting these leads to ensure a high ROI? A high ROI means, optimizing your ads for more leads, ad spend and using the existing lead details to push for more conversions via various nurturing drip campaigns. Even if you get through converting the leads you’ve obtained, you’re almost there! Let’s start thinking about how to convert Facebook leads quickly. So, let’s go through them in detail. Goes without saying, doesn’t it? 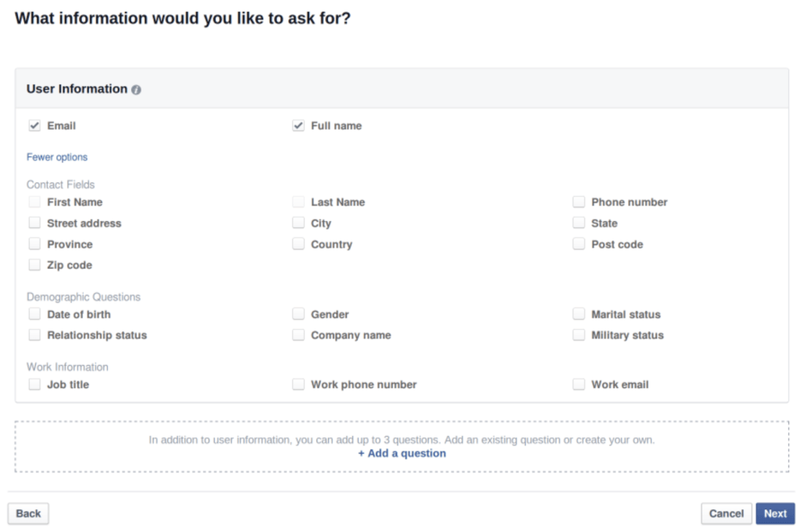 Facebook leads most likely won’t convert into customers on their own. After all, only 2% of sales are made after the first contact. For the most part, it takes anywhere from 5 to a dozen touch points to close a sale. Also, nearly half of businesses admit that most of their leads require “long cycle” nurturing. And that’s where nurturing campaigns come into play. Nurturing allows you to keep in touch with those leads via a series of emails, and accompany them until they are ready to buy. I have a simple example of what exactly we mean by nurturing the facebook leads. 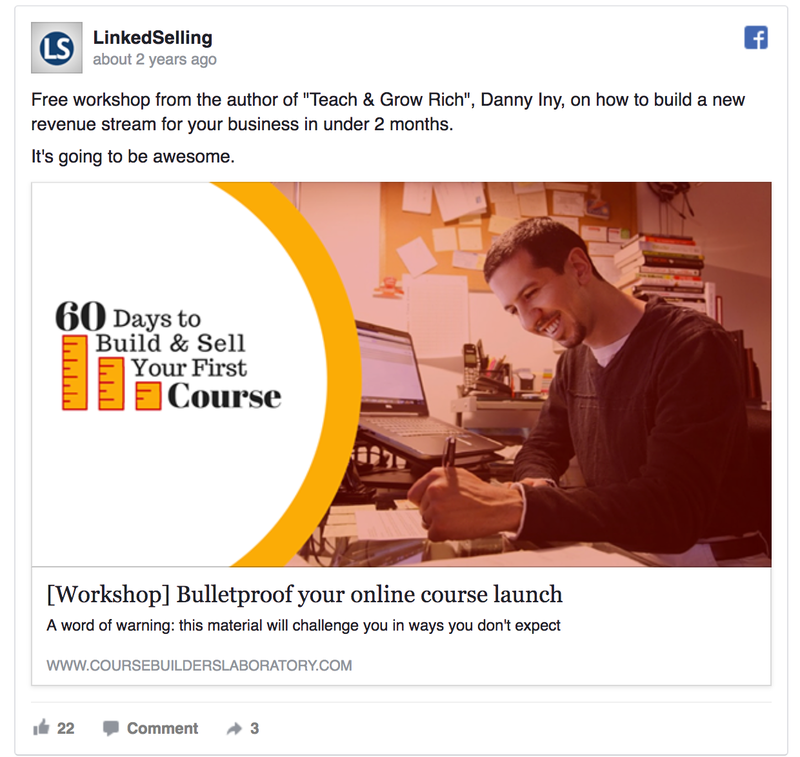 You’ve created a Facebook lead ad for prospects to register for your webinar. It’s very obvious that, after someone registers for your webinar, you should be sending a personalized email which discloses all the details of the webinar and the link to the webinar room! Post this, it’s a good practice to follow-up with these registrants until the day of the webinar to improve the attendance ratio. This could get tedious to do manually and let go off by putting it on autopilot with a simple workflow – connecting your facebook lead ad to Gmail account! This way, you ensure the conversion rate of your Facebook leads is optimized. 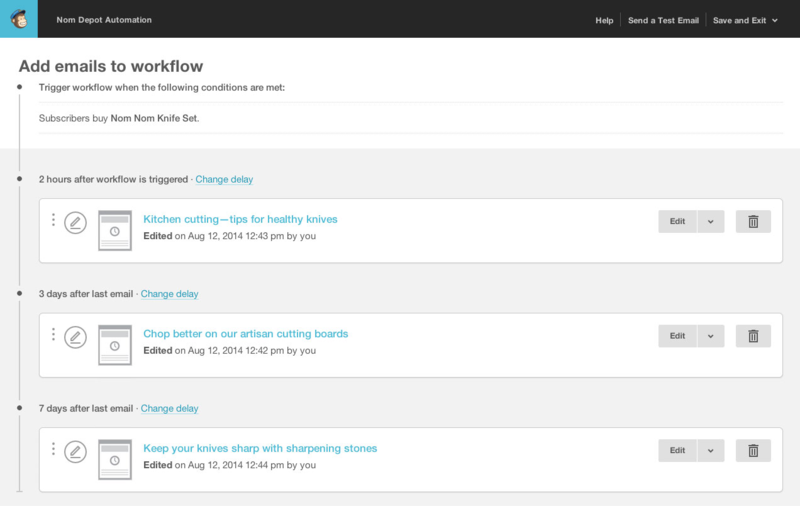 This nurture workflow can be easily set up with apps like MailChimp, Hubspot, Infusionsoft, or Drip. But regardless of which strategy you choose, your first step is to move Facebook Leads into your email software and CRM. 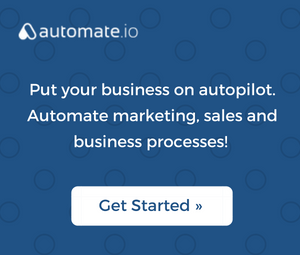 And you can use Automate.io to integrate Facebook leads with the software you use. Email software begins sending the person your lead nurturing sequence. And upon an interaction (a response, for example), that lead is added as a contact to your CRM. Incredible, right? And what’s important, this process happens automatically, without any of your involvement. So you’ve paid all this money for Facebook leads ads and now you’ve got prospects on your product page. Now what? It’s the most frustrating when prospects land on the product page and leave, or a that add products to their cart but don’t check-out. Page layout and Buttons that are optimized for conversion. Continuously try variations and optimize. Fact: A lot of customers buy right away, but even more abandon their carts on e-commerce sites. In fact, according to Baymard Institute, 67.45% of online shopping carts are abandoned. Now, some of them might return to buy on their own. 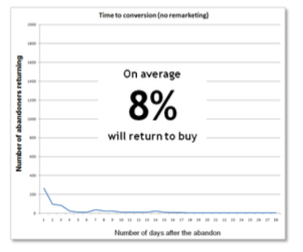 According to SEEWHY data, on average, that’s the case with 8% of abandoners. 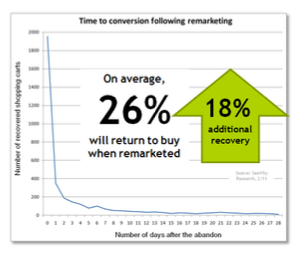 However, if you remarket them with email, that number grows to a staggering 26%! This an effective way to reduce the abandonment but are more tips to reduce cart abandonment which you can implement. 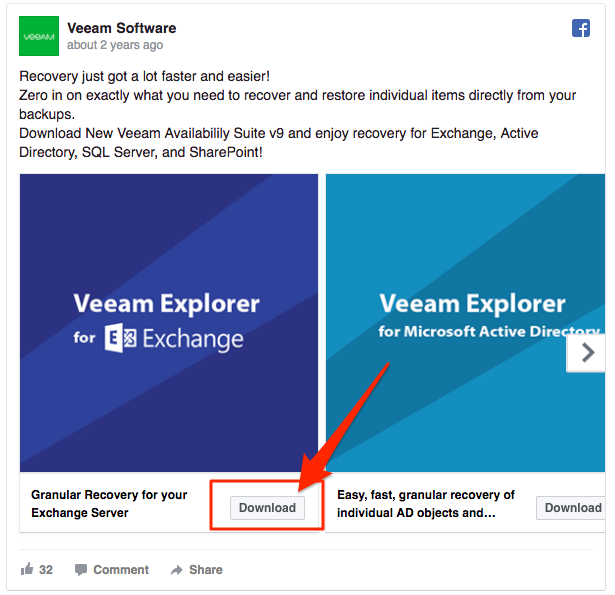 And the best part is that you can automate those recovery campaigns for cart abandons from Facebook lead ads. For example, if you use the Shopify platform, you can set up an automated cart recovery campaign with Automate.io. This means any time a Facebook lead abandons their cart, Automate.io will generate a follow-up email sequence to remind them to complete the purchase and offer additional perks to entice them to do so. Try this smart automation! You can automate them, so you don’t have to process any data yourself. If you’re in sales, you know how tough it can be to convert prospects. And what’s tougher, sometimes, during a busy season, you can let a couple of smaller deals slide because there just isn’t enough time to make calls. That’s why it’s so important to add your Facebook leads to your CRM as they come in, and not import them a week later. Then you can proceed with your sales cycle worry free. There’s no chance of miss opportunities with automated follow-up emails to start a conversation with everyone. That being said, the only way you can boost conversion rates is by knowing as much as you can about your prospects, and then, tailoring email workflows for different customer personas. Enter profiles enriching (also applicable to marketing lead generation). Fact: A new lead is often nothing more than just a name and email address. And sure, you can deduct a lot from their email domain, visit the site to check out who they are, etc. But for one, that data is still limited. And acquiring it demands work. A lot of it at that. Luckily, there are lead enrichment tools apps like Clearbit or FullContact allow you to enrich user profiles based on their email and name. 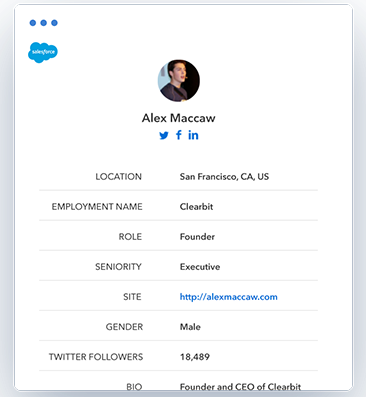 From location, business contact information, position within a company to their company’s annual revenue and more, profile enriching helps you learn who your new lead really is. And the good news is that you can automate this process with Automate.io. For example, let’s say a person downloads your latest eBook via a Facebook Lead Ad. But to simplify the process, and increase conversions, you’ve only asked them to provide their email and name in the process. As a result, that’s the information you’ll have added to your CRM. A person’s bio, interests etc. Next, you can forward all this information to your email software of choice, and start sending them personalized follow-up campaigns. By the way, we do also have some great tips for you on how to send emails to the primary folder. Facebook lead ads offer businesses an opportunity to simplify lead generation process and acquire leads directly on the social networking platform. Nurturing them, in turn, helps you convert those leads into paying customers. And we’ve shown you how to do this, regardless of whether you’re selling to B2B companies, run an Ecommerce store or conduct sales outreach. And finally, automating the process allows you to reduce your involvement, and set many aspects of the process on autopilot. By combining all three elements, you can create a complete and automated lead generation and nurturing process that will help you reach your business goals. What elements of lead generation do you struggle the most? Let us know in the comments. And if you’ve enjoyed this post, remember to share it with your network.